After 11 months of work in my "shipyard", my Black Pearl is now afloat. After three trips, I still have to find the good adjustments inside the cockpit, in particular with the seatback, but my first impressions about this ship are very good. It was very hard for me to decide if this kayak would be a black, a white or a wood pearl. So, I did a mixture with all that, and you can see the result. It is called "Inukshuk". 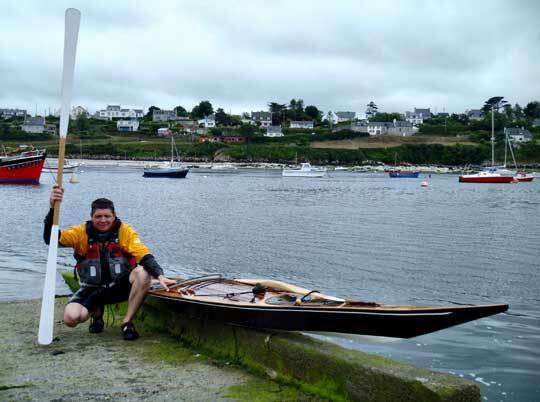 I am now looking for another kayak, a fast boat for a week long use in full autonomy, with all my camp gear and food. Maybe a Njord? Why not? Christophe Meyer - Brittany - France.